In 2012, DTJ piloted our first ever Mobile Cinema project in DRC in partnership with Paul O’Callaghan, a psychologist from Queens University, Belfast, with research supervision by Theresa Betancourt, the director of the Child Health and Human Rights, Department of Global Health and Population, at the Harvard School of Public Health. Now, two years later, the results of our study are in print! 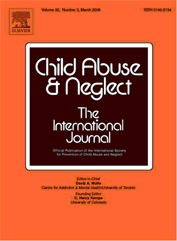 The Journal of Child Abuse & Neglect International Journal has published our research entitled, “A pilot study of a family focused, psychosocial intervention with war-exposed youth at risk of attack and abduction in north-eastern Democratic Republic of Congo.” The article is currently in print. Based on that research, Paul O’Callaghan, Lindsay Branham and Father Ernest of SAIPED in Dungu set out to design an intervention to reduce trauma and psychological distress amongst formerly abducted children who have been living in the middle of LRA violence. The study explored if trauma symptoms could be reduced through a resilience-focused intervention at the community level, using a variety of techniques including narrative film. This meant formal trauma therapy was not used, and formerly abducted children were treated right in their home communities, with their friends and families. Major findings include a large reduction in internalizing symptoms. This means that children reported feeling less sad, less isolated, less prone to crying alone or attempting any kind of self harm. Go ahead and read the full study here. And watch the Mobile Cinema films that were screened in communities in Congo here. DTJ celebrates the promising findings in this study – proof that trauma and psychological distress are not permanent, that narrative film can assist the healing process and that there is a way to overcome war together, as a community. 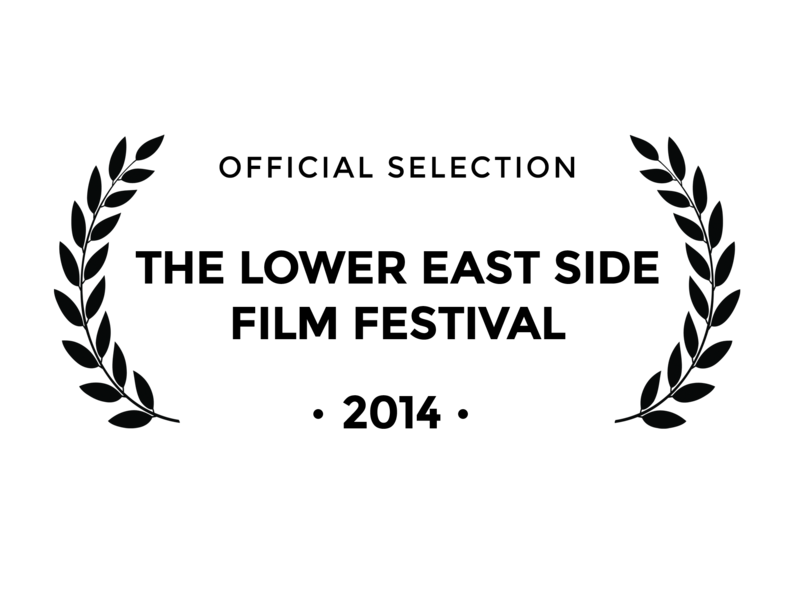 We are thrilled They Came at Night is an official selection of he Lower East Side Film Festival, a unique collection of films that plays in our home city. They Came at Night is also a selection at the Palm Springs Short Fest Film Market. If you are in sunny Palm Springs this week, be sure to head over to the film market to view TCAN. Thank you to all who have come out to see TCAN in the four festivals this Spring. We have been so impressed with the thoughtful questions and excitement around not just the film but how it is being used in Mobile Cinema screenings in central Africa. Click here to read more about Mobile Cinema. 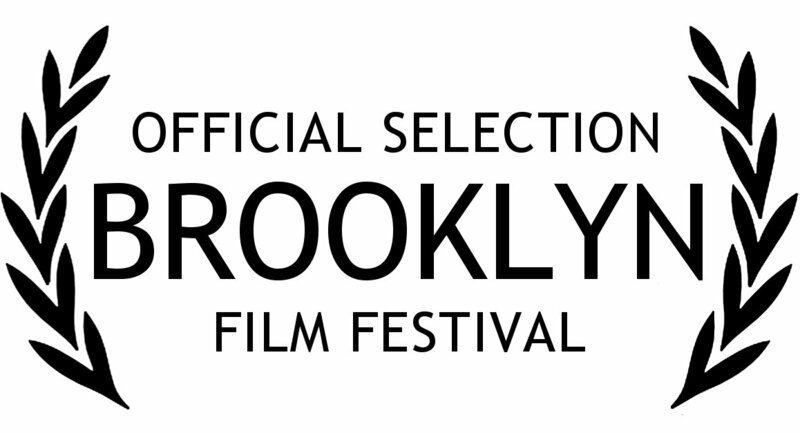 They Came at Night is an official selection of the Brooklyn Film Festival this year and joins an impressive line up of films. They Came at Night is the latest DTJ film made in collaboration with Invisible Children about a child soldier in Joseph Kony’s LRA who risks everything to escape and come home. So all New Yorkers, clear your calendars the first week of June to indulge in everything the Brooklyn Film Festival will bring. Stay tuned for screening dates and times. And more to come about how They Came at Night is impacting communities in central Africa through Mobile Cinema screenings and Community-Defection Committees. Dual purpose film. It works. A scene from They Came at Night. Today we are highlighting an open letter we co-signed with 58 civil society groups and organizations from around the world to urge MONUSCO to improve their efforts to protect civilians from the Lord’s Resistance Army in central Africa, a letter spearheaded by The Resolve LRA Crisis Initiative in tandem with Fr. Ernest Sugule, National Coordinator of SAIPED. “While we recognize that MONUSCO has many competing demands across Congo and faces significant resource constraints, we believe that with focused leadership the mission could more effectively utilize existing resources to keep people safe from the LRA,” said Paul Ronan, Project Director of The Resolve LRA Crisis Initiative. 4. Revitalize campaigns to encourage LRA defections, including by collaborating with civil society and the US government to quickly respond to indications from LRA members that they want to defect [which is too often not what happens]. Today we amplify the opinions and requests of the many civil society groups throughout NE DRC that DTJ has worked with in close proximity over the last few years. Their request to senior MONUSCO officials to do more to protect civilians demands a response. We are honored to be a signatory on this important letter. To read the full letter, click here. KINSHASA, 13 March, 2014 – With Lord’s Resistance Army (LRA) violence in the Democratic Republic of Congo (DRC) still a grave threat to civilians, a letter from 59 civil society groups released today calls on the United Nations peacekeeping mission in the DRC (MONUSCO) to improve efforts to protect civilians from the rebel group. The LRA has abducted over 3,400 Congolese civilians and killed over 2,400 others since 2008, making it one of the most violent armed groups in DRC over the past six years. In February 2014 alone the LRA abducted 35 people in 20 attacks in Haut Uele district of DRC’s Orientale Province, the most abductions the group has committed in one month there since April 2012. MONUSCO troops are deployed in villages close to areas where the LRA attacked but have been slow to respond. In recent years, Congolese community leaders and international NGOs have consistently raised concerns that MONUSCO does not respond effectively or quickly enough to reports of LRA attacks in Haut Uele. The UN Security Council is set to review MONUSCO’s mandate this month, with the focus expected to be on stabilizing DRC’s troubled eastern region. In a letter addressed to MONUSCO’s senior leadership, the civil society groups urge the UN mission also to take proactive measures to protect civilians from the LRA. The letter urges MONUSCO personnel to build better relationships with community leaders in LRA-affected areas of DRC, highlighting how improved information sharing can strengthen the mission’s efforts to protect civilians and encourage members of the LRA to defect. In 2013, the LRA committed at least 124 attacks and abducted nearly 200 civilians in the DRC. Over 236,000 Congolese civilians remain displaced by LRA attacks, including nearly 18,000 who fled to neighboring countries. 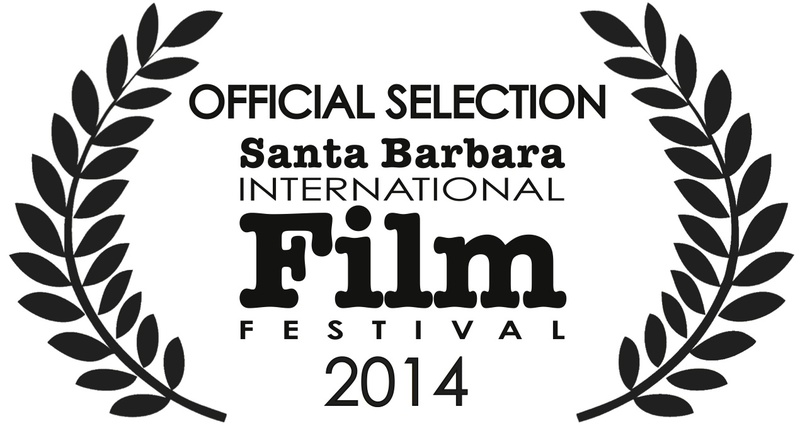 Santa Barbara International Film Festival Official Selection! They Came at Night, our new Mobile Cinema film made in partnership with Invisible Children was just selected to compete in the Dramatic Shorts competition at the Santa Barbara International Film Festival Jan 30 – Feb 9, 2014. We are very excited. To see the full line-up of all the incredible films playing this year check it out here. If you are in Santa Barbara, please come see the film. Stay tuned for screening date and time. 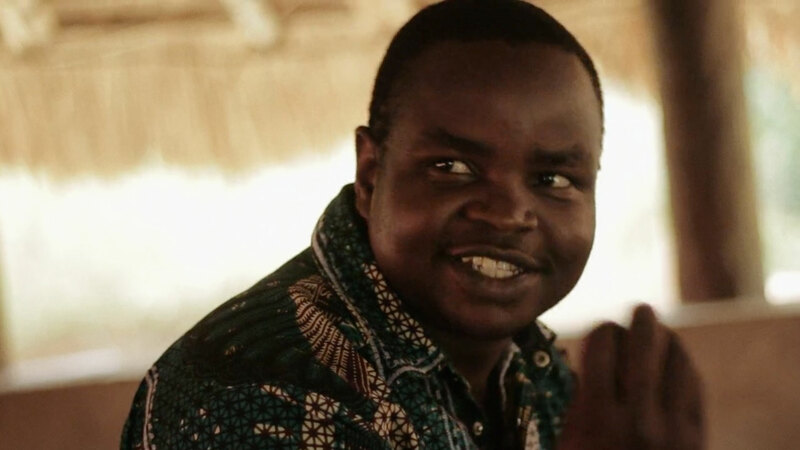 We sat down with Ernest Sugule, the founder of Dungu-based Solidarity and Integral Assistance to Destitute People (SAIPED) to ask a few questions about his experience working to end LRA violence in central Africa and why he partnered with us to create the two Mobile Cinema films. SAIPED has been our partner throughout our work creating Mobile Cinema programs in DR Congo and we wanted to hear why he believes in this alternative approach to creating change in communities affected by war. Why did you decide to partner with DTJ on the Mobile Cinema project? Storytelling is at home in Africa. Africa is a place where storytelling is used as a means of keeping our traditions alive and sharing knowledge with each other. Mobile Cinema does exactly that. We partnered with DTJ because through the Mobile Cinema project, local people can tell their own stories to each other. This allows for people to identify with each other in new ways. Through story, Mobile Cinema gives people the opportunity to visualize someone’s suffering, hear their suffering and at the same time feel that they are not alone in their own suffering. This makes the Mobile Cinema approach so unique and powerful. The second reason we decided to partner with DTJ was because their approach is completely different from other partnership approaches. 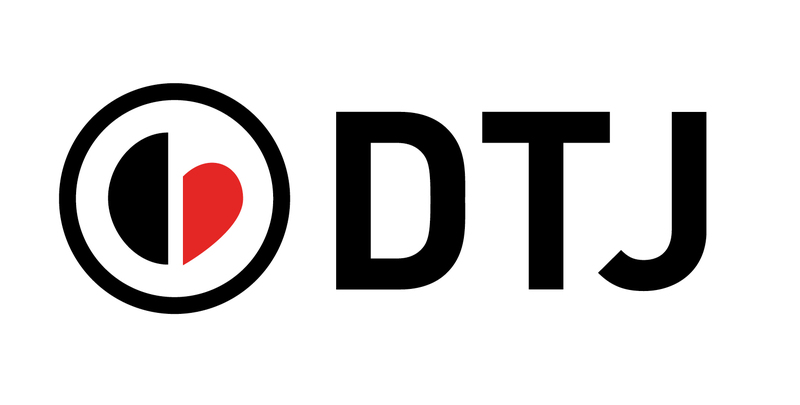 DTJ builds the capacity of the local organization and then accompanies them for a certain period of time and then lets the local organization run the program independently while DTJ continues to provide funding and program support. How does DTJ work in partnership with SAIPED? Our partnership with DTJ is unique and different from partnerships we have had with other international organizations. DTJ trained our staff and accompanied them on the ground. At this point they left, allowing our staff to carry on the project independently with tremendous results. This partnership has helped build the capacity of our SAIPED staff in knowing how to implement the Mobile Cinema and psychosocial programs. SAIPED staff are now even able to use Mobile Cinema in different programs such as the defection program, which includes community forgiveness, etc. Really this partnership has been so helpful to SAIPED staff in terms of capacity building. 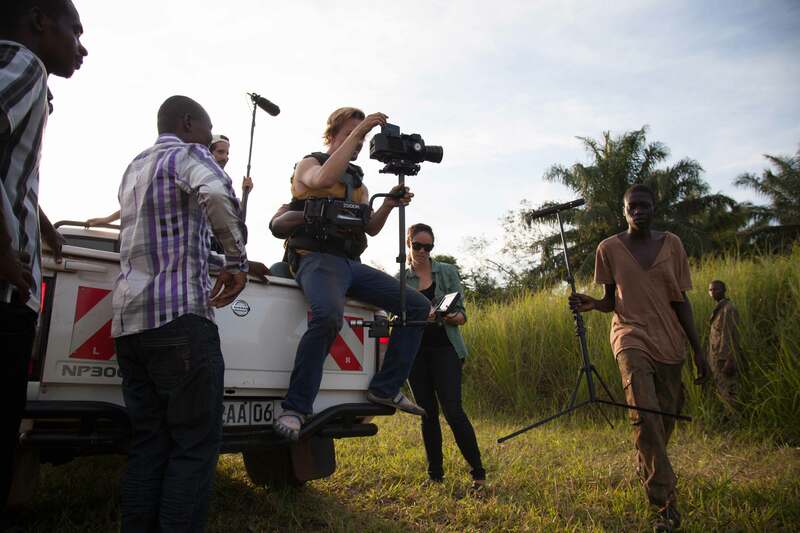 Film is a new medium in the remote areas of DRC and is not a familiar way for people to communicate, why do you use mobile cinema films in your programs? Film might be new in the remote areas of DRC but this also makes it attractive. Film is special because it gathers everybody, from children, to youth, to adults and even elderly people. This is unique because it gets the attention of everyone at different ages all at once. For instance in Faradje, in one evening, the parish priest asked us to show the film to people. Although we did not inform people in advance, we just put our equipment up and started showing the film and leading discussions. 10 minutes later, over 1,000 people turned up to watch the film, including the lecturers from the Higher learning Institution of Faradje. Therefore, film is a new way to tell one’s own story and it has been a very powerful tool to reduce trauma in LRA-affected victims. They see their own stories being told on the screen and it provides an opportunity to LRA victims to open up and start sharing what they went through. This healing process helps them move on with their lives. 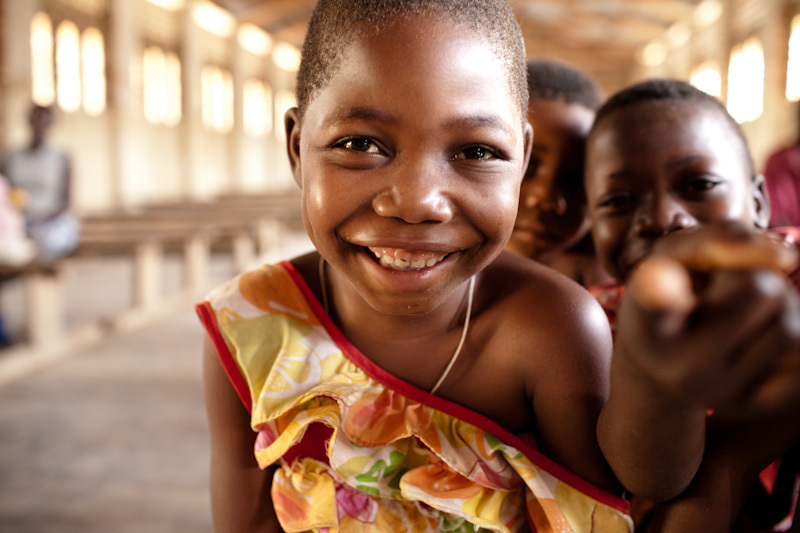 Mobile Cinema has helped us reach over 2,500 children and their caretakers, and reduce trauma symptoms by over 50% in children who were formerly abducted by the LRA. How is it significant for people to see a film in their own language about issues in their own communities? Painful events or even traumatizing events are best expressed in one’s mother tongue. When local people listen to their stories being told in their own language, it makes them feel more at home and at ease. At the same time, this gives them a unique opportunity to realize that they are not alone in their suffering, and to understand that what happened to them also happened to many other people. The film also gives them a learning opportunity to move away from the traumatizing or painful events to positive events in their lives. The film’s resolution creates hope and positivity. The film gives people courage to move on and to start a new life on a new basis. Even just one viewing of the film leaves indelible marks on local people, convincing them to change their inner beliefs. The film is so powerful and unique because it gives opportunity for people to model the positive behavior of the characters in the film. What is the Mobile Cinema film “They Came at Night” about? What are you trying to accomplish with this film? The Mobile Cinema film, They Came at Night, is about two abducted boys who are escaping from the LRA. One is caught by the LRA and beaten seriously but the other one is able to successfully escape because of the help of a local hunter. But when this local hunter takes the escapee back home, he faces fierce opposition from the local youth and even from his own wife. After the escapee recognizes what he did wrong and asks for forgiveness from the local youth, he is forgiven by the community. They then accompany him to the military authorities so that he can be repatriated to his own country. The biggest lesson we want to convey to local people is to learn “how to forgive” an LRA combatant who surrenders, or defects. This is so important because if people are not able to forgive the LRA, they will not be able to help the LRA surrender, and the war will continue. However, this demands a lot of effort from local communities. We are essentially asking them to move on from the bitterness they feel to forgiveness. But this is healing, and this is a healing process for the whole community. The film shows clearly how the local hunter and even the local youth had opportunities to kill the LRA escapee but they chose to forgive him and help him surrender so that he could go home. This is what we want the community to learn and model. Can film really create change in LRA-affected communities? How? The mobile cinema program has produced changes measured by quantitative and qualitative data in the communities. For the first Mobile Cinema program about reintegration, we were able to reach over 2,860 beneficiaries of whom 1,430 were children who escaped from the LRA. The program also reached over 1,430 caregivers of these children. We included the caregivers or parents of these children in order to reduce their trauma as well and equip them with same basic techniques to recognize trauma and addressing that in their own children. So far we have been able to reduce psychological distress symptoms by over 50%. This means that children are reporting feeling less depression, anxiety, trauma, sadness, suicidal thoughts, and feelings of isolation. Also, formerly abducted children are experiencing less negative stigma. Qualitatively, the Mobile Cinema program has been able to create space for children to deepen connections to their families, peers, teachers and community members. The community now holds more value for formerly abducted due to increased empathy towards them. Lastly, we have seen increased community cohesion and unity because of the program. The second Mobile Cinema program focuses on forgiveness and encouraging peaceful surrender from the LRA. Our target is 2400 beneficiaries in two communities. So far we have been able to reach over 600 beneficiaries. The program is designed to create a Safe Reporting Site for escapees where they can surrender without being attacked by the local community members. So far we have had tremendous results. For instance, before following the program, one beneficiary told us that he would never forgive an LRA escapee because the LRA killed all of his family and he wants to take revenge for their deaths. But after going through the program he was able to say that, “now I can forgive an LRA soldier who escapes so that I have peace”. All the participants have been able to move away from bitterness and vengeance towards forgiveness. How can the film help communities to decide to peacefully accept LRA combatants who surrender? What is the role of it? Various characters in the film provide role models to the community. Community members can learn from these role models and imitate them. Therefore, community members can remind themselves of what they saw in the film and play the same role. The other thing the film does is that it sets a base for forgiveness for the entire community. The community can learn from the film how to forgive LRA members who want to defect. There are some sensitive scenes in the film, does this create a mental trauma for communities who watch it? The film should look close to reality so that it is believable. That is why some sensitive scenes should be in the film to make it appear as close to reality as possible – so that people can relate from their own experiences. This also gives opportunities to the characters in the film to show the community how they can move away from these painful experiences. Yes this is sensitive in the first exposure, but this is necessary so that the community is able to move away from the painful events. The painful event becomes a learning event from which local people learn from in order to know what to if the events repeat themselves. The other reason why it is important to show sensitive scenes is that the more we are exposed to our own stories and realities, the less traumatized we become. This is a learning process for the community as well because we expose them to difficult realities but in a safe setting. And then we help them process these events and overcome them. What is your vision for what Mobile Cinema and the CDCs can accomplish in DRC? This has been one of the most successful community-based programs, which exists to build resilience within communities. Resilience is defined as, ‘the ability of individuals, communities, organisations, or countries exposed to disasters and crisis and underlying vulnerabilities to anticipate, reduce the impact of, cope with, and recover from the effects of adversity without compromising their long-term prospects’. My vision for the Mobile Cinema and the CDCs is to expand it to all affected communities in DRC and the region at large. Our newest Mobile Cinema film about an LRA child soldier who escapes and encounters a local hunter who has to decide whether to risk his life and help him or not is underway in DRC. The production team is working with a Dungu-based non-profit organization called SAIPED (Solidarity and Integral Assistance to Destitute People). The team held auditions with over 100 people who tried out for the various roles in the film. The final cast is a selection of first-time actors who have all been personally affected by the Lord’s Resistance Army conflict. The final film will be toured in Mobile Cinema screenings by SAIPED and other central African-based organizations along with an in-depth facilitated workshop to educate communities on the importance of defection and how to be prepared when LRA combatants do escape. The production process itself is highly collaborative – from the story nexus to acting workshops to actual shooting, we lean heavily on our partners to inform the nuance of every scene and every piece of dialogue. We are all very excited for the final product to come. Photograph of Director Andrew Ellis, co-Director Alex Mallis, Production Associate Margaux Fitoussi and Joseph Vungula and the two main actors, Innocent Mbula and Godefroid Malaka prepare for the scene when they escape from the LRA. Dungu, DRC. “Under the Mango Tree” a radio documentary that highlights DTJ’s psychosocial program in Kiliwa, DRC in collaboration with Queens University, Belfast aired today throughout Ireland on RTE.ie Radio 1 platformed through their Documentary on One series. The documentary is personal and brings a patient voice to the conversation around children affected by Joseph Kony’s Lord’s Resistance Army in Central Africa. We are pretty proud of the kids in Kiliwa – they have come so far from the trauma of LRA violence and we’d sure love you to meet them through this piece – hopefully you’ll take some time to listen here. We got to spend all spring with them. Spend 38 minutes with them. WASHINGTON – LRA – affected communities cite unending effects of LRA violence, detailing the struggle to maintain financial viability, agricultural access, security and protection. A new report from Discover the Journey and Harvard Humanitarian Initiative marks one of the first efforts to systematically document the wide and severe impact of violence on every area of life for formerly abducted children and their communities in northeastern Democratic Republic of the Congo (DRC).The humanitarian needs of the communities devastated by Joseph Kony’s notorious Lord’s Resistance Army (LRA) must be a top priority during the UN Security Council’s meeting on Wednesday. – Growing rates of HIV/AIDS; Service providers interviewed cited that HIV/AIDS has become a significant and increasing threat. – Communities’ restricted access to economic and agricultural opportunities; specifically, their inability to cultivate new lands to serve host as well as displaced populations and its compounded negative effects on food insecurity. While current conditions mandate emergency-level intervention, respondents assert the need for solutions that will last into the future and address resulting conditions beyond the immediate impact of violent atrocities. Although fear of continued violence remains, respondents continually highlighted the need for a more holistic, long-term engagement to protect civilians and establish stability. “The DTJ and HHI initiative is breaking new ground in that it is among the first to undertake significant analysis of the impact of the LRA on the people of northeastern Congo. This is an area of focus largely neglected despite calls for action to the contrary by humanitarians working in the region,” said Ian Rowe, the Head of Unit DDR/RR – Political Analysis & LRA Focal Point for the United Nations Organization Stabilization Mission in the Democratic Republic of the Congo. Rowe also emphasizes that this report provides a needed starting point in highlighting the long-term consequences of LRA atrocities on Congolese communities, while also stressing that the international community must conduct more extensive consultation with a broader selection of communities throughout the Ueles in order to grasp the true depth and complexity this region of the Congo endures. The study asserts that integrated solutions are needed to respond to multi-level problems – continuing to work with communities to build on current protection and resilience strategies, while strengthening the national and international response, will be critical to addressing the continued LRA threat. The Harvard Humanitarian Initiative (HHI) is a university-wide center involving multiple entities within the Harvard community that provide expertise in public health, medicine, social science, management, and other disciplines to promote evidence-based approaches to humanitarian assistance. Discover the Journey (DTJ) is a nexus of journalists, filmmakers, storytellers, artists and supporters who use media to expose injustice facing children in-crisis. DTJ’s solution uses media creation, distribution and leverage to contribute to the human rights movement protecting children globally. In January, DTJ’s Lindsay Branham and Harvard Humanitarian Initiative’s (HHI) Jocelyn Kelly traveled to northeastern DRC to systematically document the impact of the Lord’s Resistance Army. They guest blogged for the NYT here. 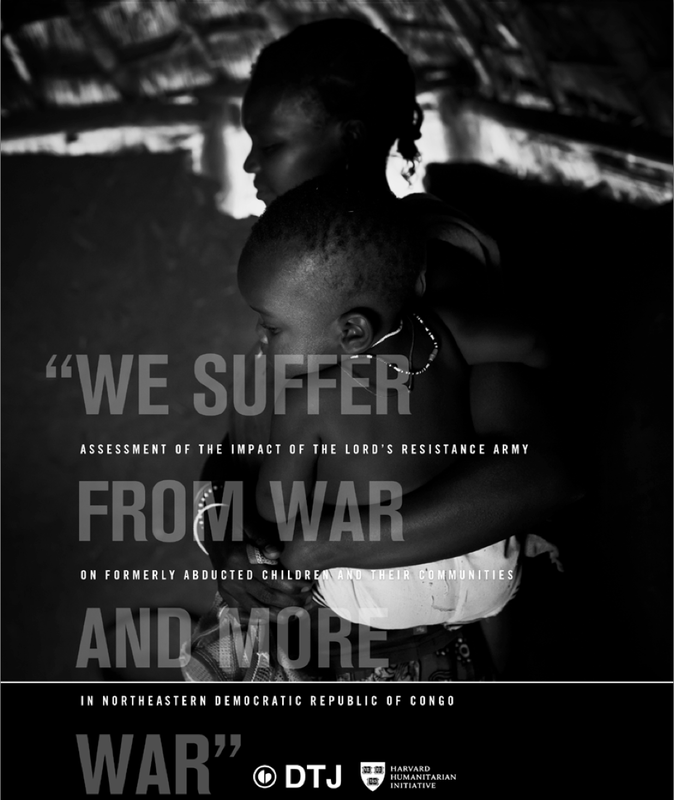 Today DTJ and HHI are releasing the findings from their research in a report titled, “We Suffer From War and More War”: An Assessment of the Impact of the Lord’s Resistance Army on Formerly Abducted Children and their Communities in Northeastern Democratic Republic of Congo. Tomorrow the United Nations Security Council will meet to discuss the LRA and what can be done to address the crisis. In lieu of this meeting, the report urges that the humanitarian needs of communities devastated by Joseph Kony’s Lord’s Resistance Army (LRA) be a top priority. Respondents in the study stressed that the international community must assist with providing essential services through long-term engagement, including life-saving health services; improving water and sanitation access; and providing psychosocial and educational interventions to formerly abducted children and adults. While these communities are facing emergency-level challenges now, the study asserts the need for solutions that will last into the future. While this report affirms the internationally accepted need to capture the LRA’s leader, Joseph Kony, and secure peace for the region, the report also highlights the need for a more holistic, long-term engagement to protect civilians and establish stability. Areas of need that study respondents emphasized are the growing rates of HIV/AIDS; the psychosocial needs of children returning from abduction by the LRA, specifically young girls who face a myriad of reproductive health and psychosocial consequences; and communities’ restricted access to economic and agricultural opportunities. The LRA is a brutal rebel movement that has committed some of the most grievous human rights abuses in Africa in recent decades. The group is particularly known for its merciless conscription of children into its ranks. Currently, the LRA is active in South Sudan, northeastern DRC and Central African Republic. The dire impact of the LRA’s predatory violence includes the looting of possessions, abduction of children and massacre of civilians, as well as the compounded downstream health, psychosocial and economic repercussions. The study asserts that integrated solutions are needed to respond to multi-level problems – continuing to work with communities to build on current protection and resilience strategies, while strengthening the national and international response, will be critical to addressing the continued LRA threat. To see HHI’s release of the report click here. Change the world for children. Donate Now. They Came at Night wins film of the year! They Came at Night goes to the midwest! Lindsay Branham Wins Envision Social Good Fellowship! © 2019 DTJ. ©DTJ. 2014. All rights reserved.